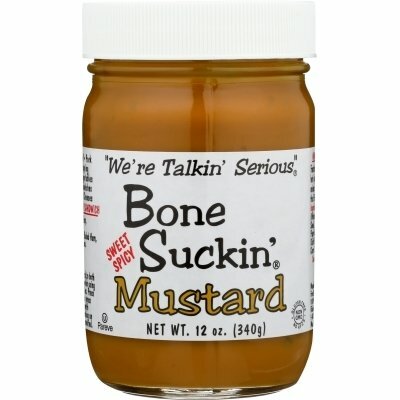 Bone Suckin' Sweet SPICY Mustard is the perfect blend of brown sugar, molasses, & jalapeno subtle heat. This medium heat mustard is perfect for grilling, dipping, and even with a spoon. Fantastic on ham biscuits, grilled cheese & dogs! Mix with cream cheese & diced onions for bagel spread.